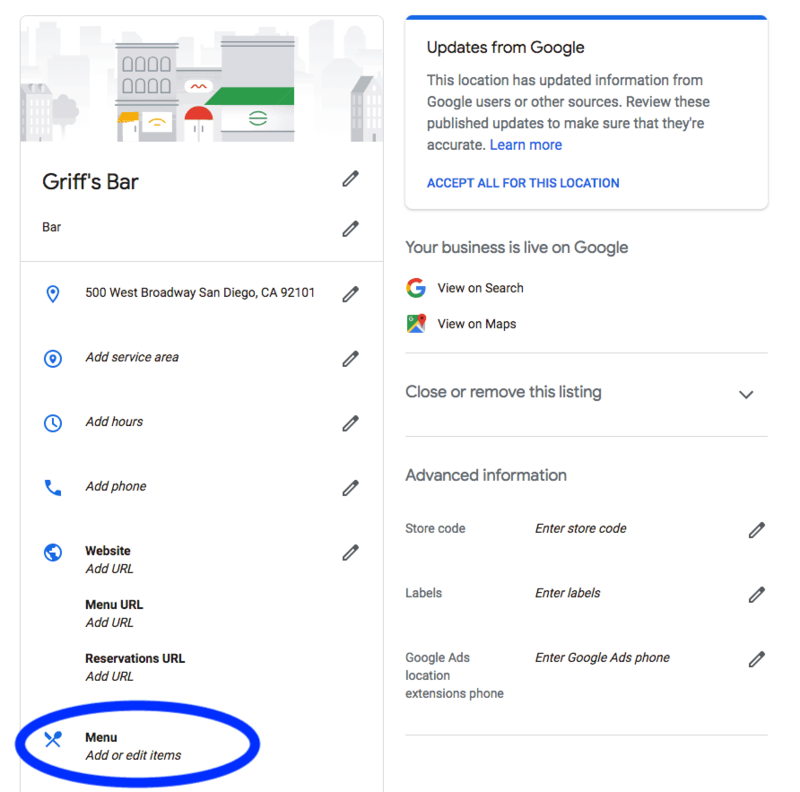 Google recently released a number of simple, but powerful, marketing features for small businesses. This includes several designed specifically for bars and restaurants. 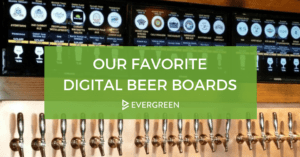 If your bar or restaurant is not taking advantage of these offerings, you’re missing out. Big time. To see why, go Google your business. We’ll wait. If you’re searching on a desktop, your business’ Google My Business page should appear on the right-hand side of the search results. 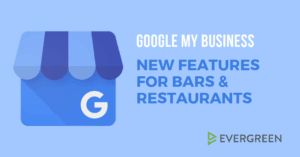 If you’re on a mobile phone–like most people are when they search for bars or restaurants–your Google My Business page will be the first thing you see. And the first thing your prospective customers see when they look you up online. So, how can you make your Google My Business profile the best it can be? 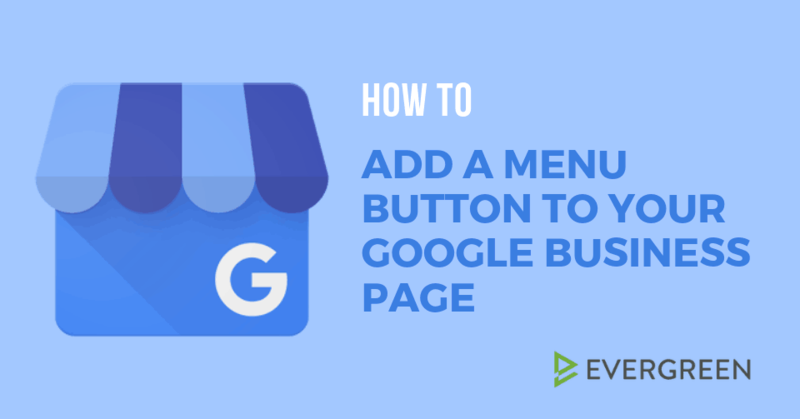 Step 0: If you haven’t already, claim or create a Google My Business page. No, really, do it yesterday. Step 1: Log into your account and click the Info tab on the left-hand side of your screen. Step 2: Click Menu (the icon with the fork and spoon, not the Menu URL option). Step 3: You’ll then see a screen where you can add your menu. Click Add menu section to type in a section name (e.g. Appetizers, Cocktails). 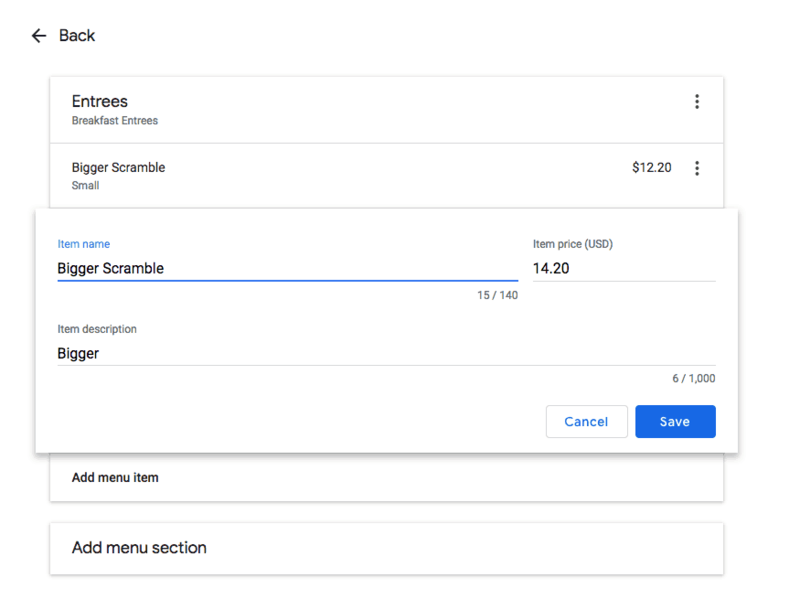 Click Add menu item to add an item name and price. You can add as many sections and items as you want. 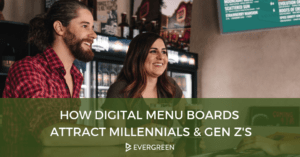 If you don’t want to manually add to or update this list each time your menu changes, Evergreen’s menu software will do it for you.